A University of Saskatchewan PhD student in the Western College of Veterinary Medicine is one of five recipients worldwide of the inaugural BioOne Ambassador Award announced today. Kalhari Bandara Goonewardene received the award which recognizes early-career researchers who excel at communicating the importance and impact of their research beyond their discipline. 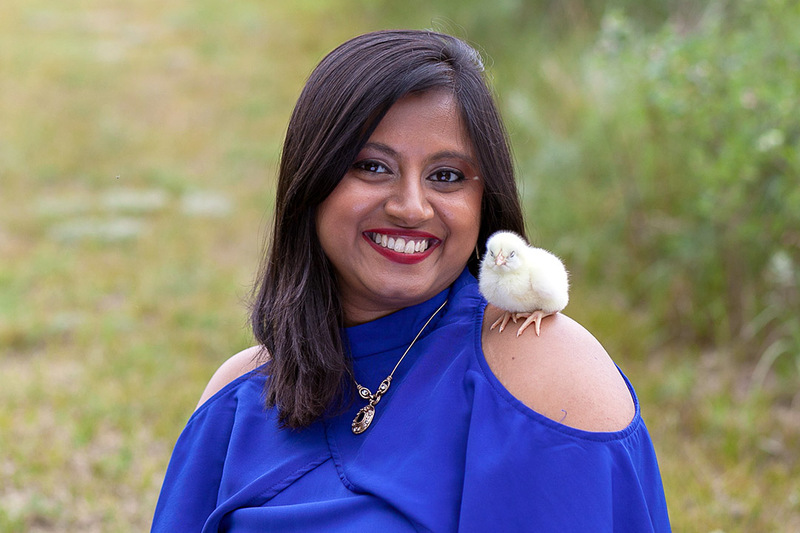 Goonewardene’s research focuses on raising healthy chickens, something vital to human health. “Baby chicks on poultry farms often get sick from bacterial infections during the first week of hatching, resulting in the death of many chicks and severe economic losses for producers,” said Goonewardene. Goonewardene said the poultry industry previously used antibiotics to prevent infections but these practices raised public health concerns including the emergence of antibiotic-resistant bacteria. In response, the poultry industry is responsibly withdrawing from antibiotic use to ensure public health and safety, and actively searching for safe and effective alternatives to ensure poultry health. The treatment defended the chicks during their first week of life: protection was initiated within six hours of inhaling the synthetic DNA and lasted five days. “It helped to improve the chicks’ clinical condition while clearing bacteria rapidly without any adverse effects on growth,” said Goonewardene. The next phase of the research, she explained, involved collaborating with engineers to develop a large-scale poultry nebulizer so that findings could be tested in an industry setting. Along with the BioOne Ambassador Award, Goonewardene also received a $1,000 cash award. Article re-posted on Jan 10, 2019 11:27:31 AM .